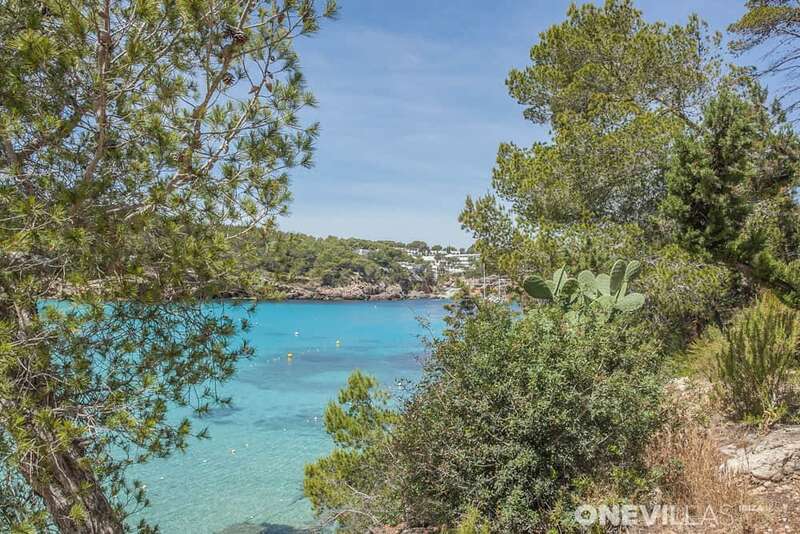 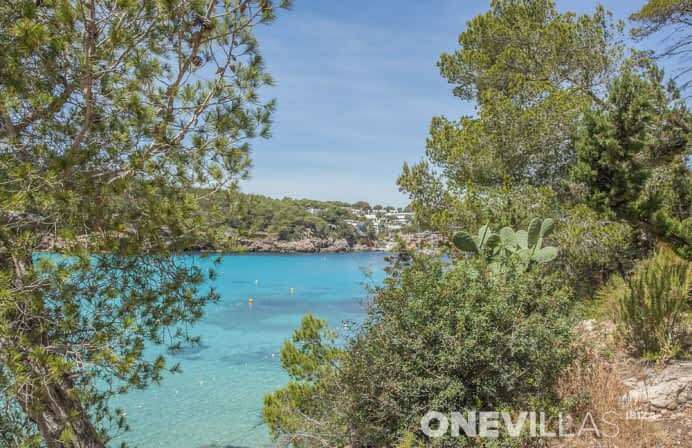 Portinatx | Rent a house or luxury holiday villa in Ibiza! 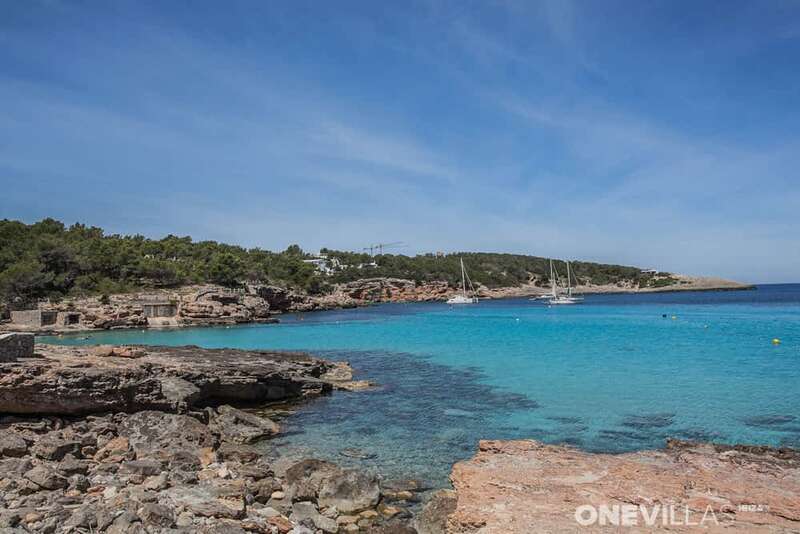 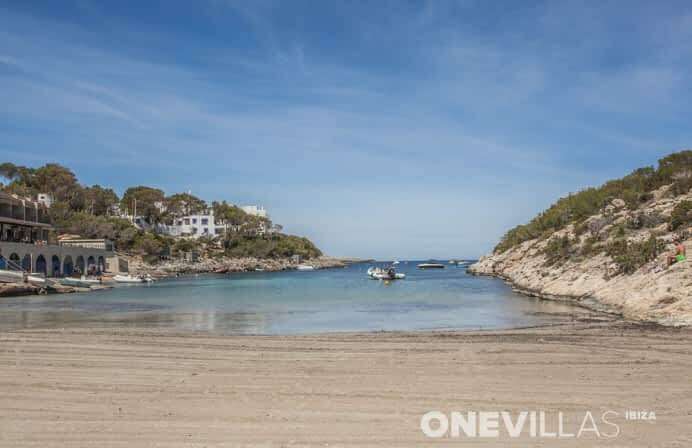 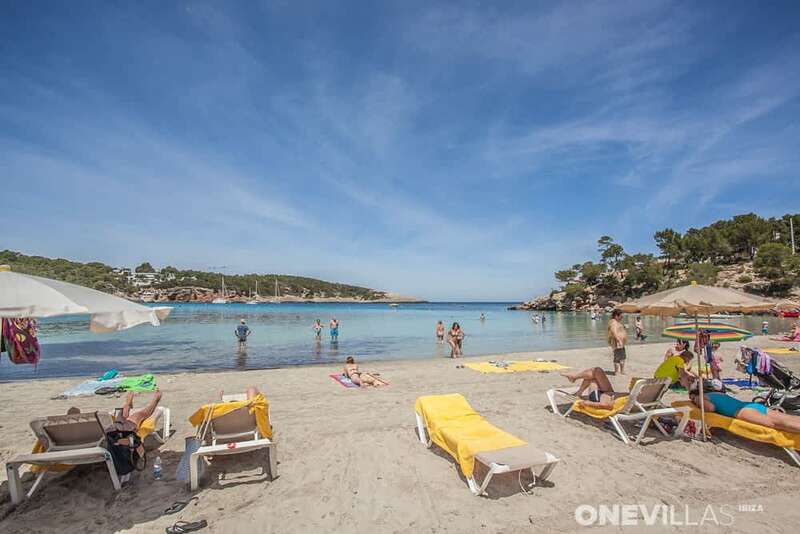 Portinatx, the most northerly bay on Ibiza, has not just one, but three beaches for you to choose between. 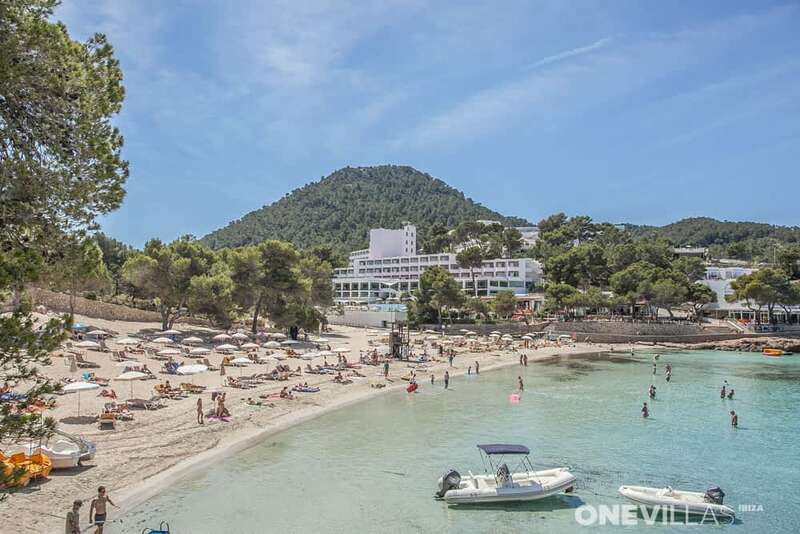 S'Arenal Gros (the largest), S'Arenal Petit (more secluded) and Playa Porto Beach. 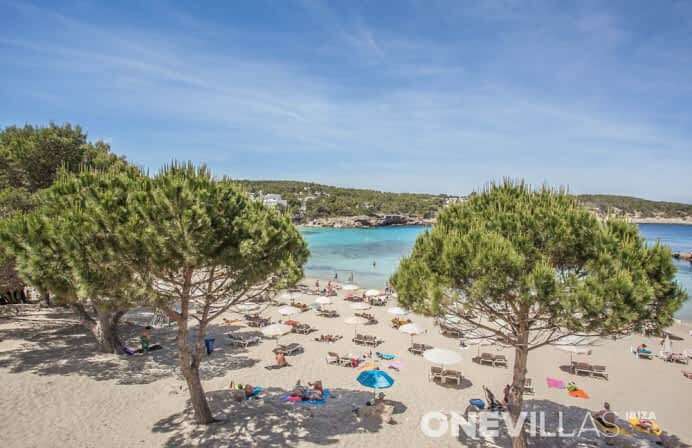 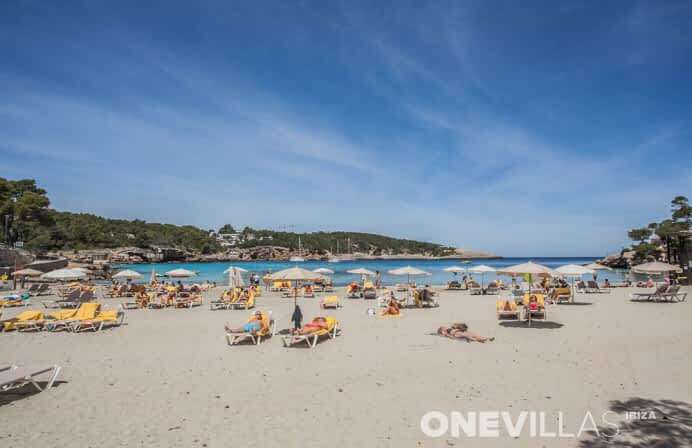 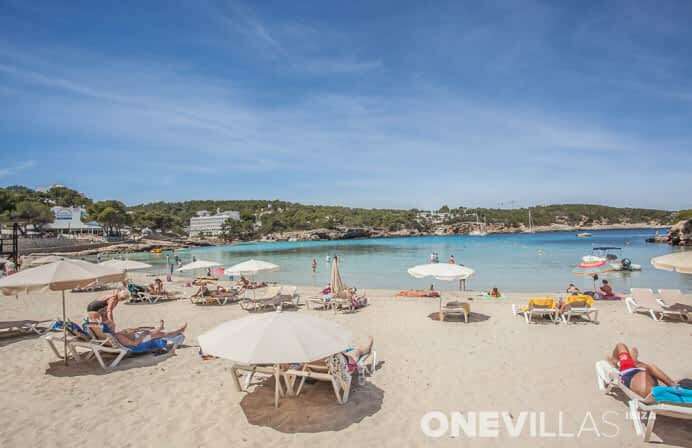 Each of the beaches is equipped with sun loungers, umbrellas and life guards throughout the busy summer months. 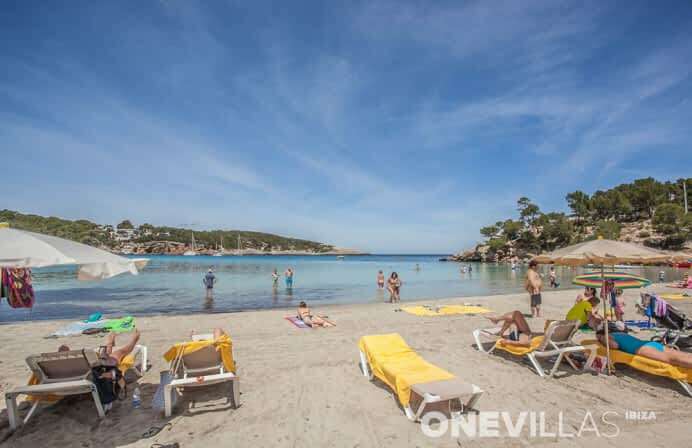 So you can relax and safely enjoy the sea and the beach, as well as the various water sports, including scuba diving and snorkelling. 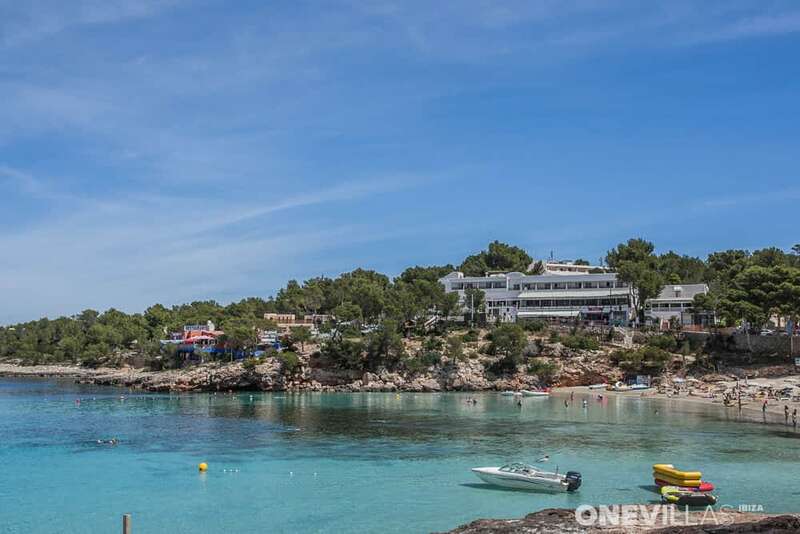 Walkers will be in their element in these beautiful, hilly surroundings and the local lighthouse, Punta d'es Moscarter, can be visited as part of an enchanting round-trip starting at Portinatx, that is enjoyable throughout the year. 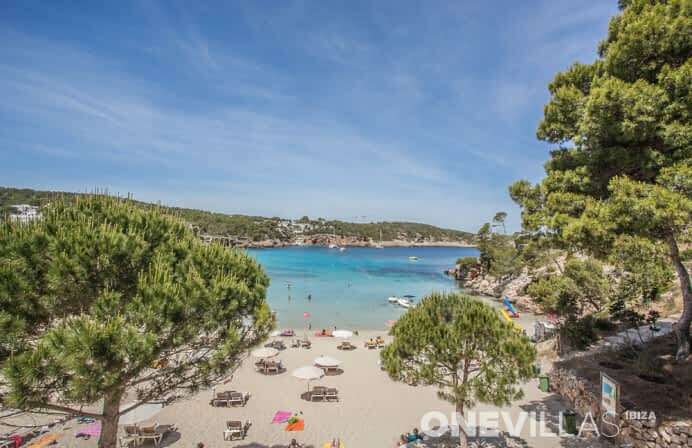 Some scenes from the film ‘South Pacific’ were shot on location here and it is easy to see why, as the surroundings truly have a look of paradise about them. 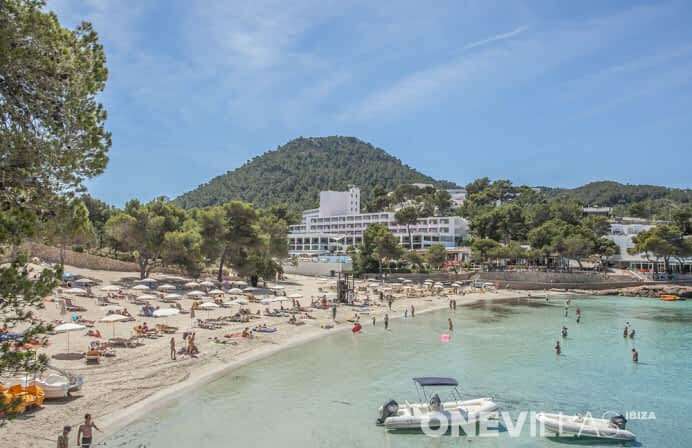 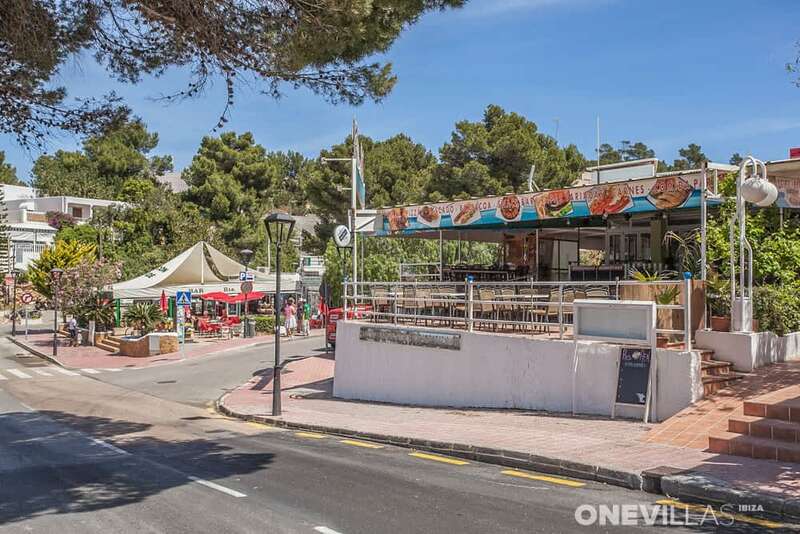 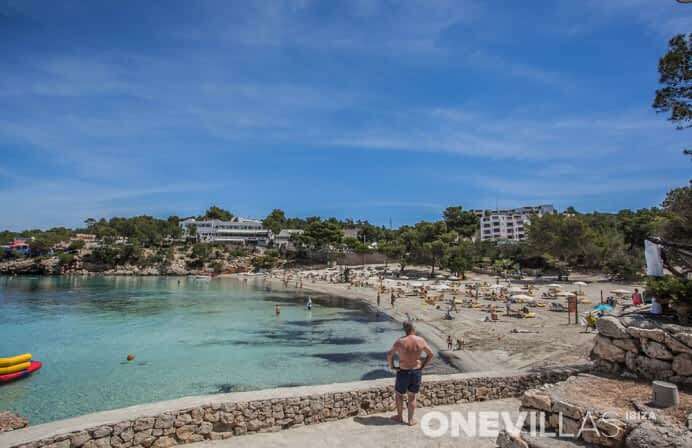 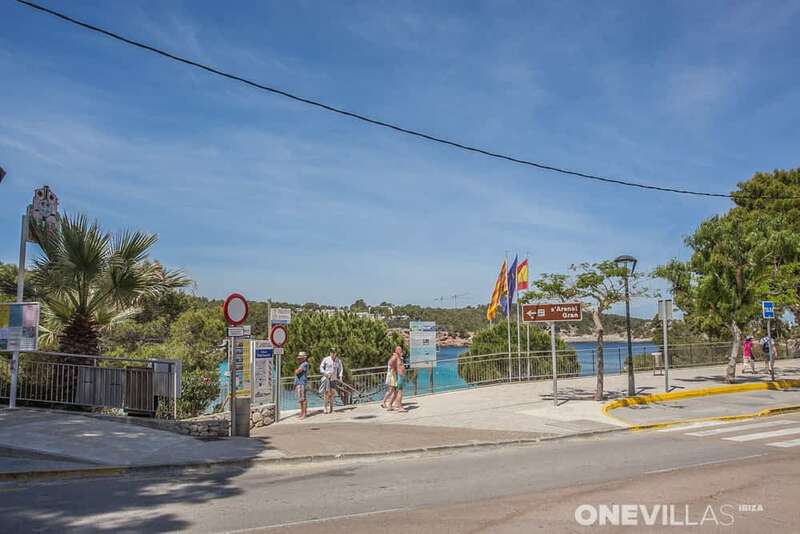 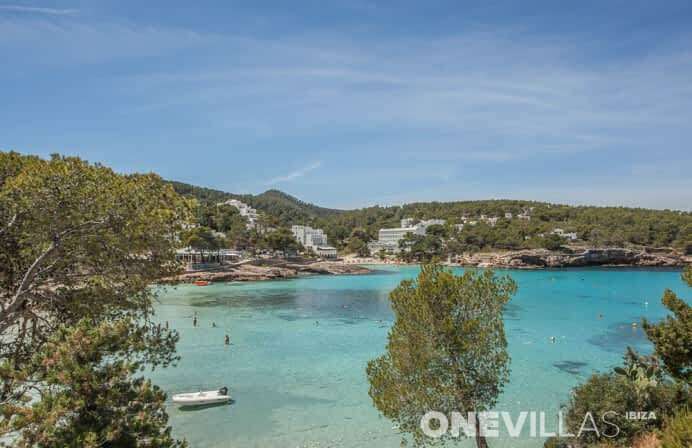 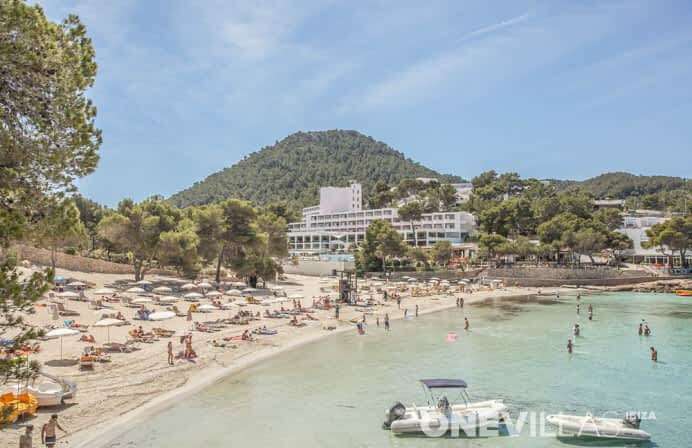 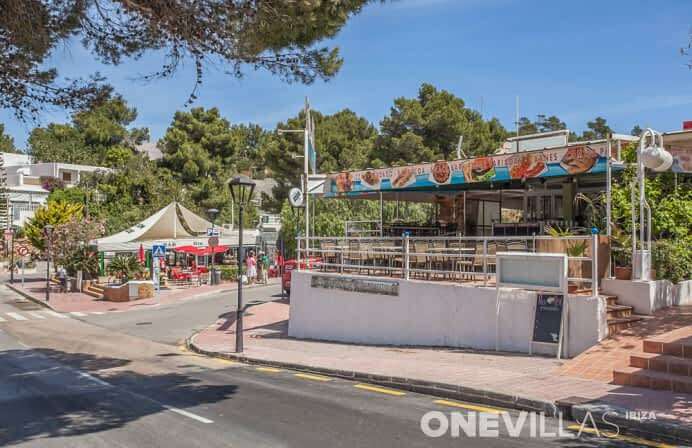 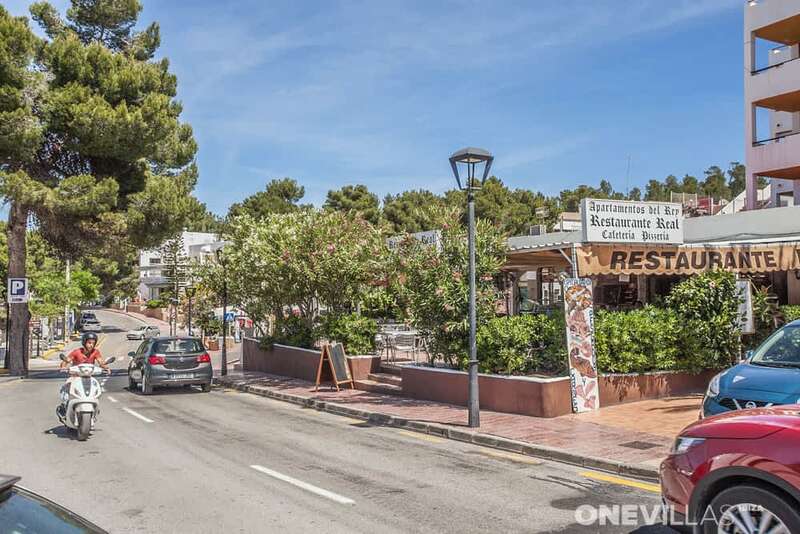 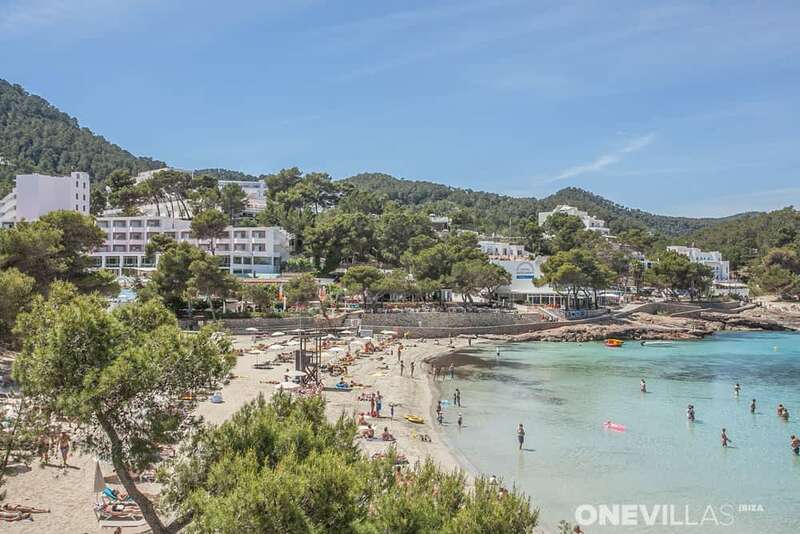 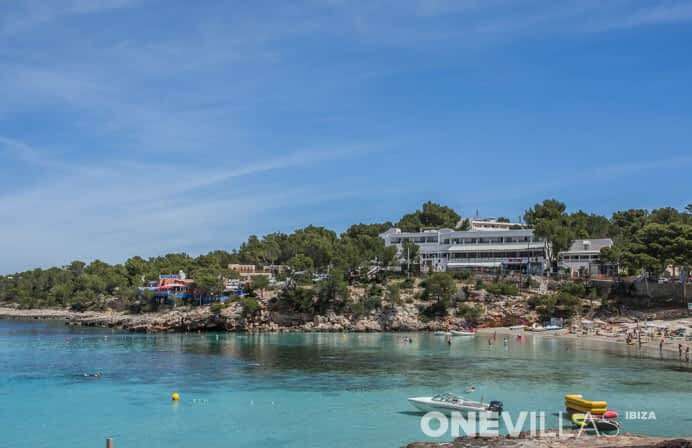 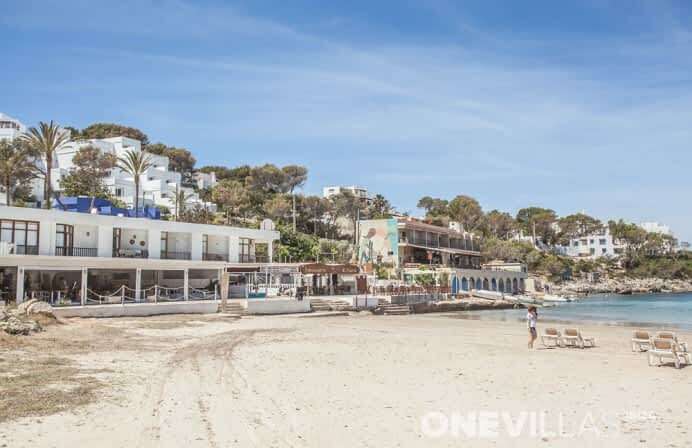 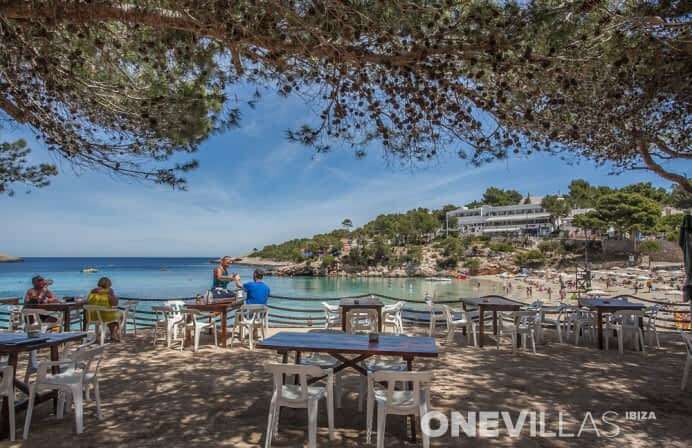 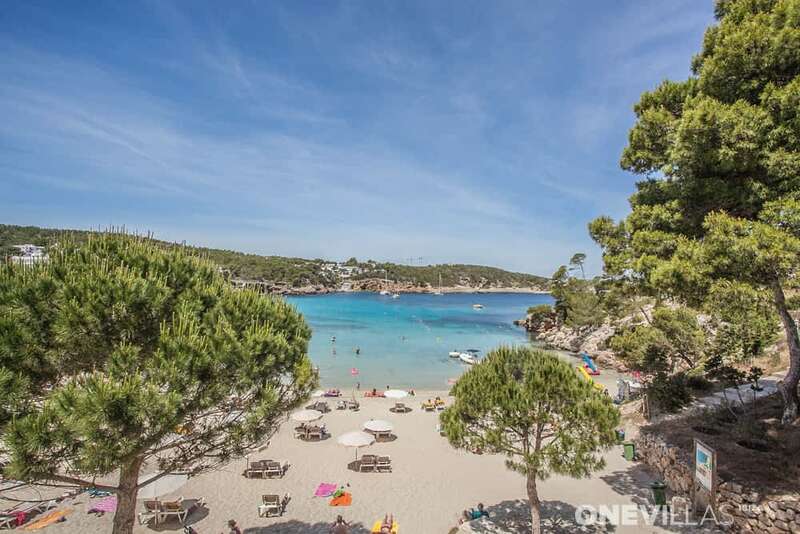 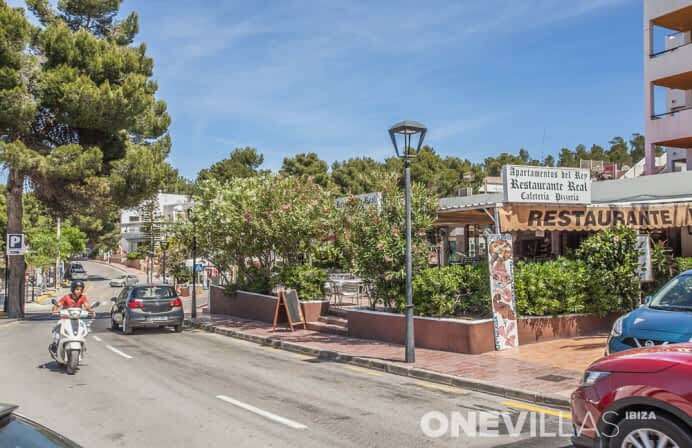 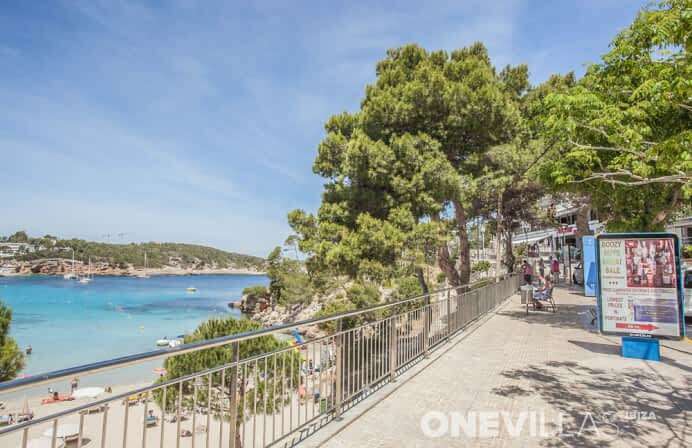 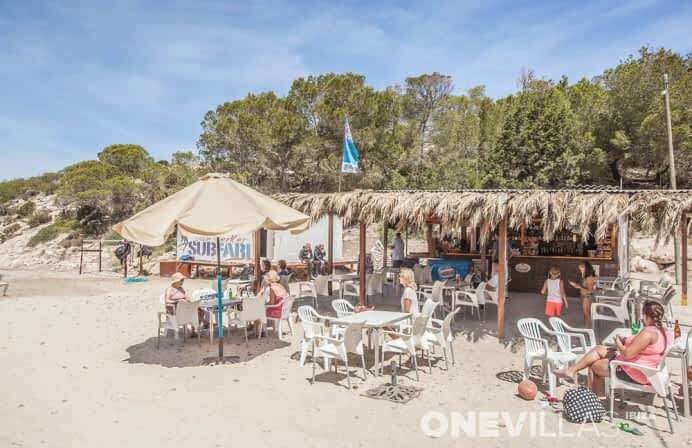 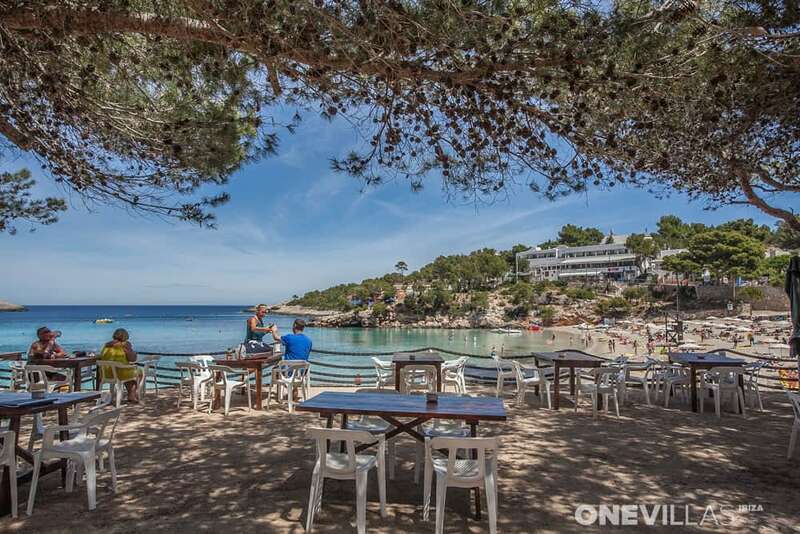 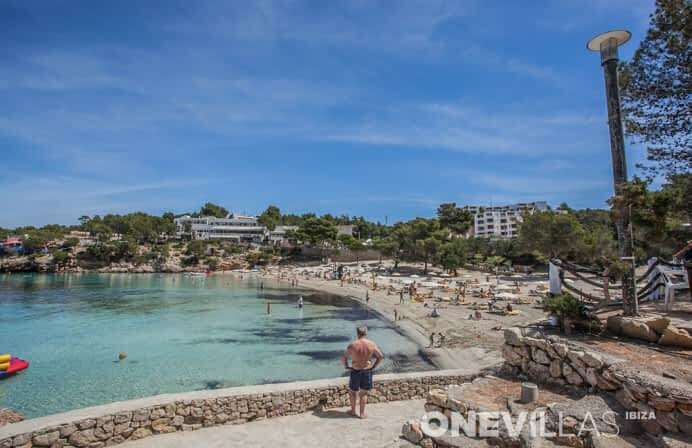 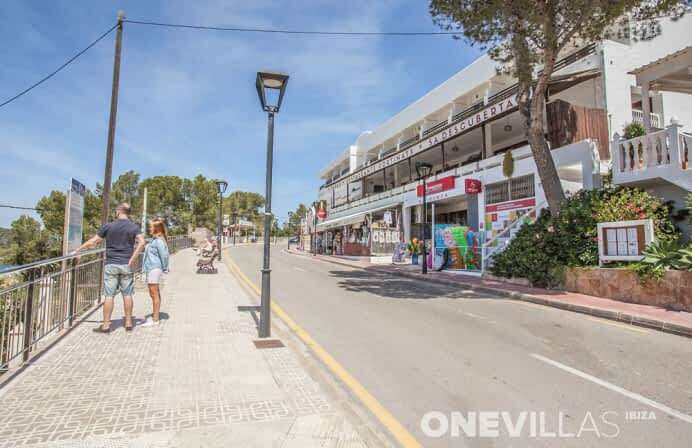 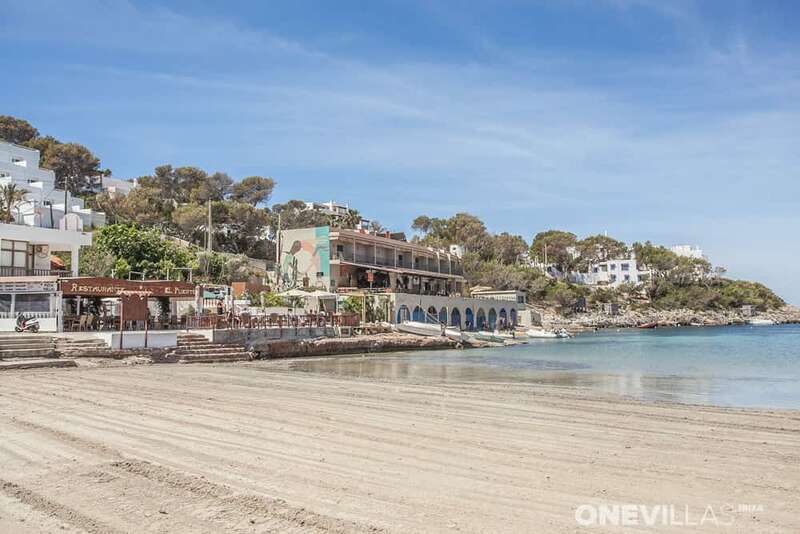 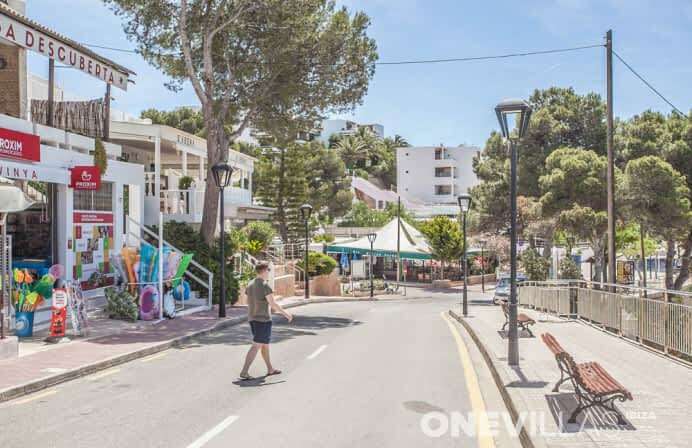 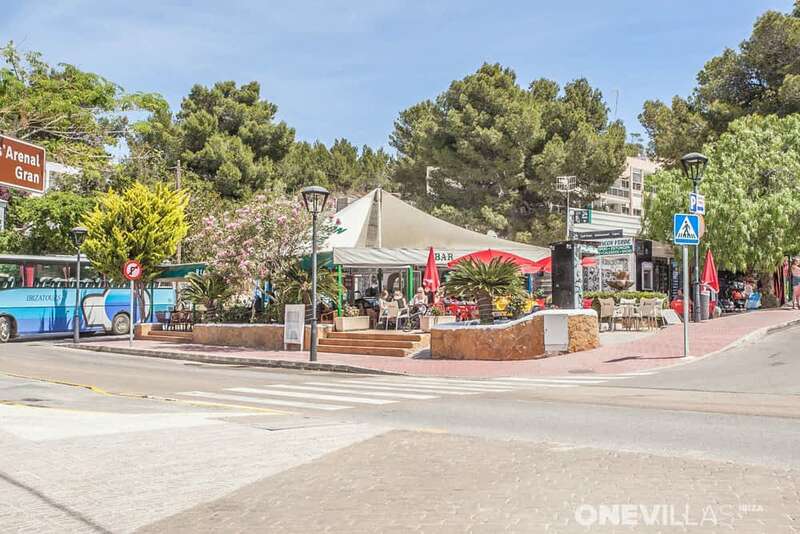 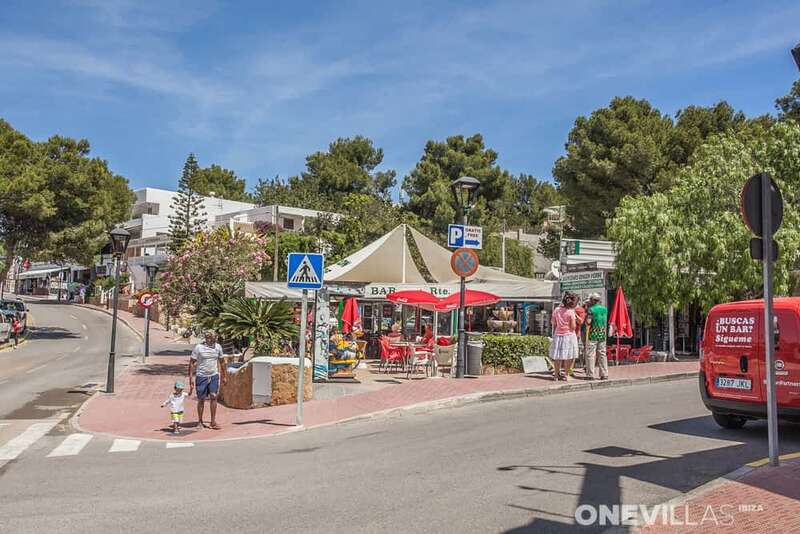 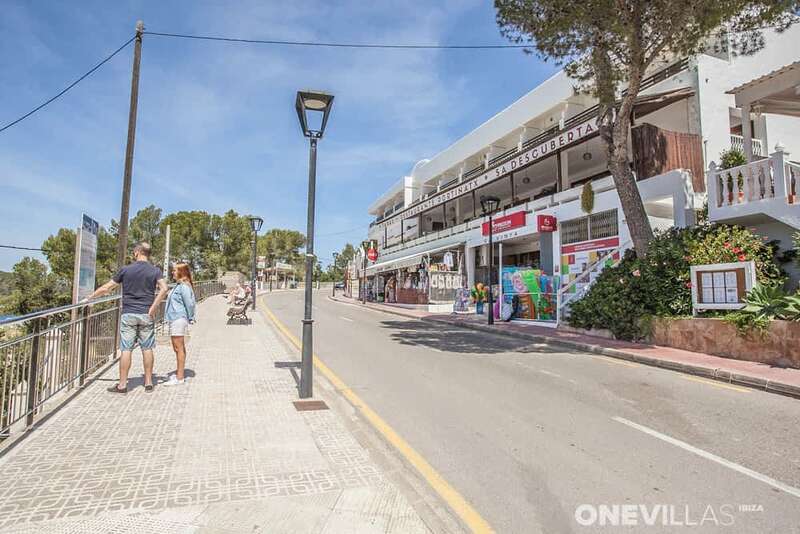 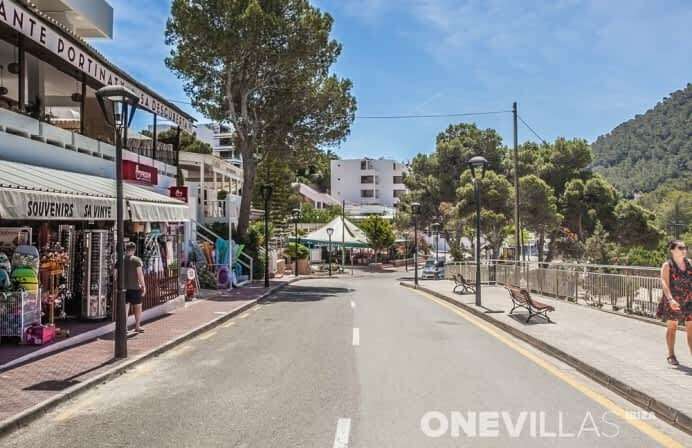 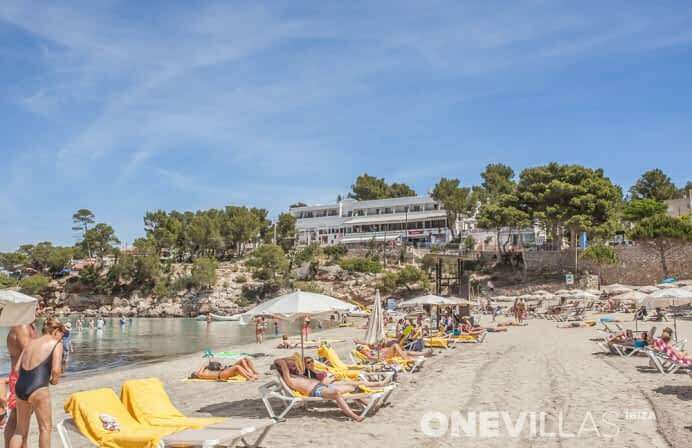 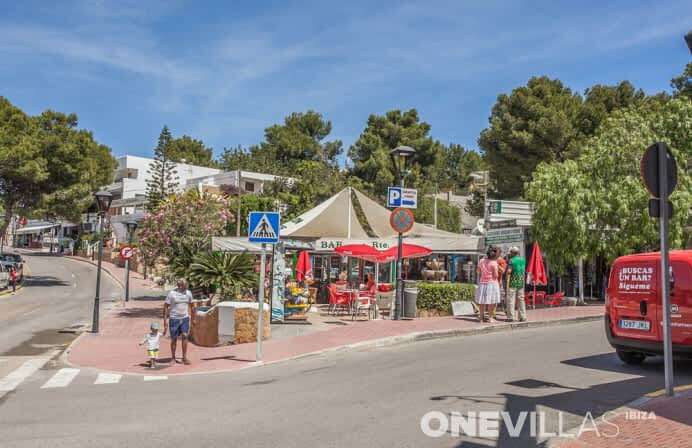 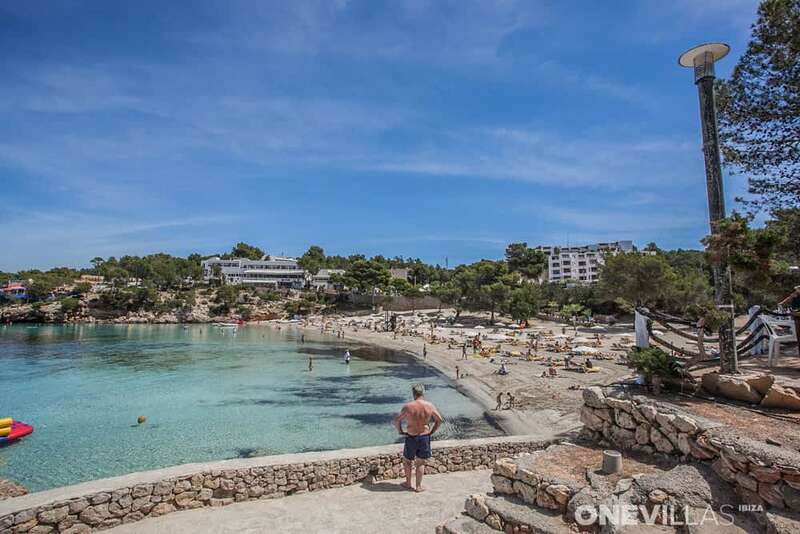 Portinatx is popular with families, couples and young people, and offers a wide range of restaurants, bars and clubs, without the crowds of some of the bigger cities on Ibiza, while retaining a pleasant and relaxed atmosphere. 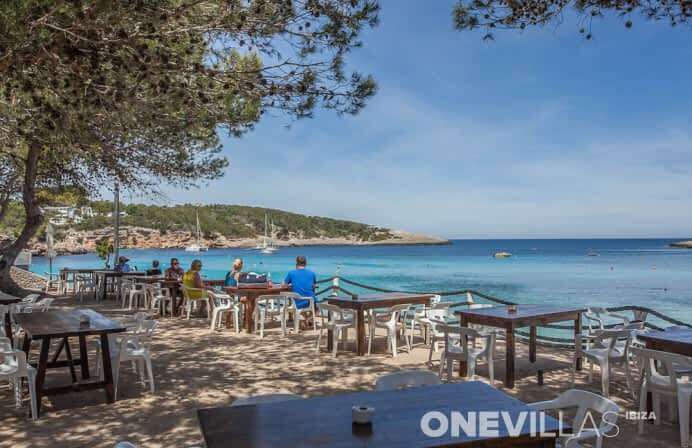 Mediterranean dishes, seafood and fish are of course in plentiful supply, but for Dutch, German and English holidaymakers who are looking for something a little more familiar, there is also plenty of choice. 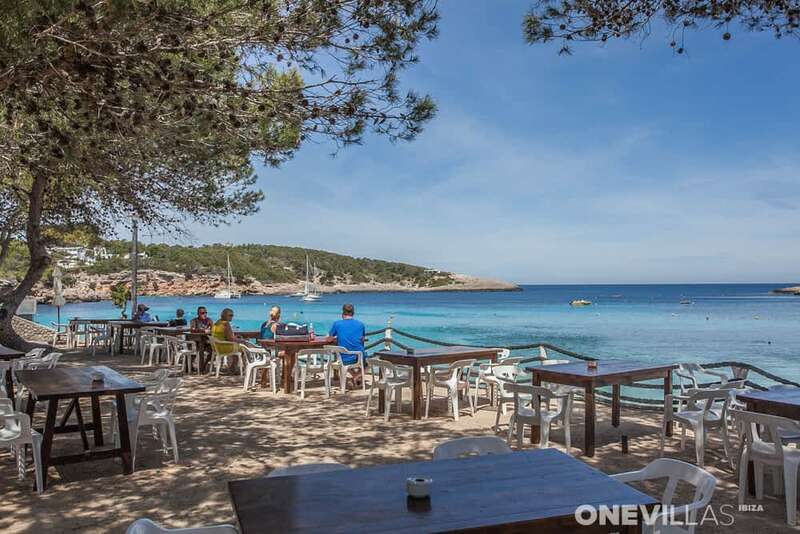 From Es Puet Blanc you can enjoy panoramic views of the bay during your meal, and a cocktail in the Zulu Lounge at sunset should also not be missed. 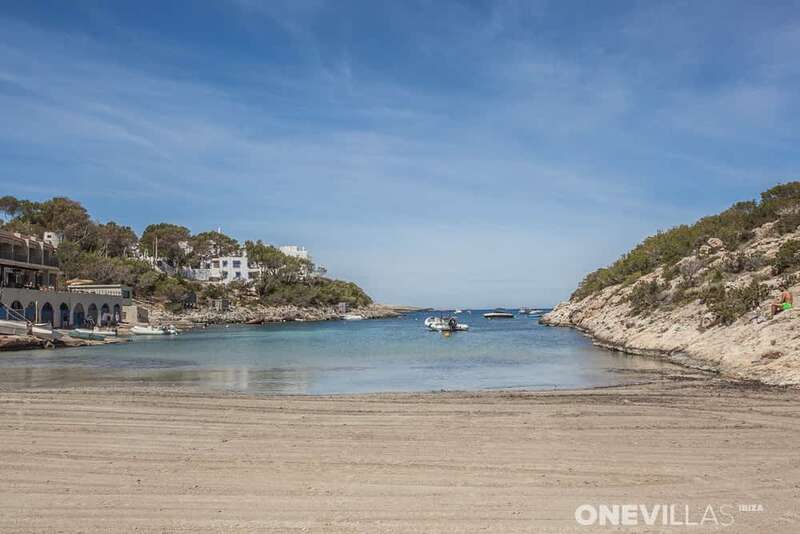 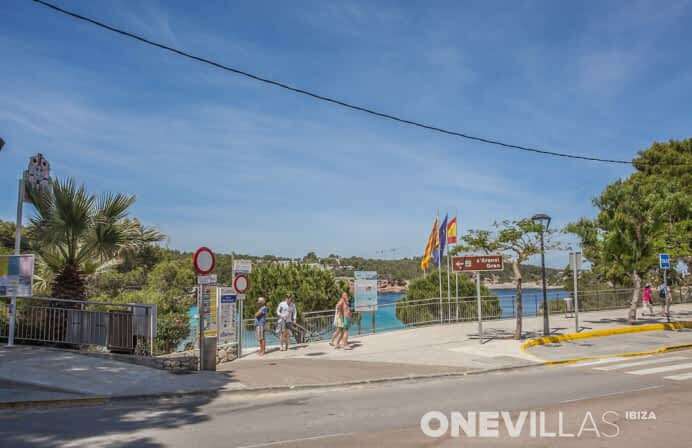 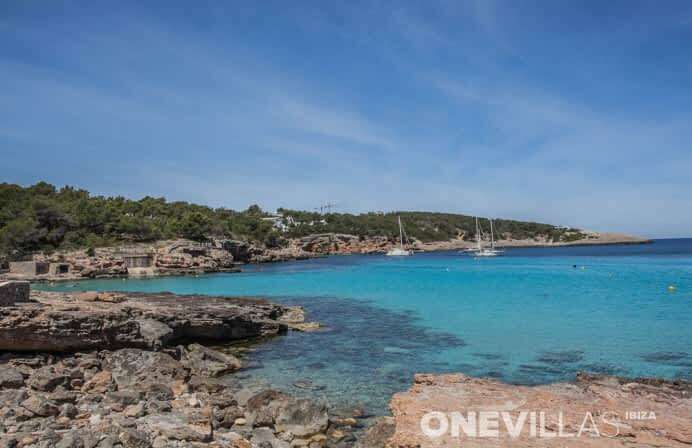 Although you can of course easily take the car to visit other towns on Ibiza from your base in Portinatx, it is certainly worth considering taking a trip on the water from here with one of the local charter companies. Every Sunday throughout the summer, a traditional Ibiza vessel will transport you from Portinatx to the beach at Benirrás, where the locals play the drums while the sun sets; a tradition that has been observed for many years and that creates a very special atmosphere.